Question: Tell us something about you. How and when did you start writing? – I belong to a very small town of Mahendergarh district of Haryana. I have studied at RPS school in Mahendergarh itself. Currently, I’m studying in Banasthali University. I was addicted to reading novels of Premchand Ji. After not clearing in AIPMT exam once, I was thinking what I’ll do in my life. At that time, I opted to go ahead with my passion. In December of 2015, I started writing my book. I had completed hardly a chapter and then I left it because of the pressure of my semester exams. In between that phase, I collected the story. As I couldn’t hold myself much longer, after the first year of graduation I completed my book within three months. Question: Tell us about your book and your inspiration behind writing it. – Fate of My Faith is all about survival, choices, and acceptance. The main plot of my story is circling around the life of a physically challenged girl. All the characters of my book are influenced by real-life persons. However, I deviated them from fiction. There was a time when I was unable to deal with depression. Then I met this girl ‘Suman’ who used to be happy in every condition. Even after being a handicap, she was happy. This was the biggest inspiration of my life. If she can Inspire me, then why not others who are struggling with their lives, every single day. Question: How is your experience with your publisher? – Damick Publication is a trustable platform. They’re always there to give new ideas and support from time to time. Question: What do think about the literary world and what are your expectations for it? – A lot of books are getting published every day. It’s expanding day by day. Because there are readers for every type of book, so in course of earning, books are lacking their true essence. I’m expecting good stories. Question: What are your future plans in writing career? – I’m in search of my next story. Question: How much do you think marketing or quality of a book is necessary to promote a particular book and increase its readers? – Marketing is as necessary as quality content. 20% is quality content and 80% is how you are promoting and marketing your work. I believe on both of them. Question: What is the message you want to spread among folks with your writings? Question: What do you do apart from writing? – I’m pursuing graduation in Bioscience groups and advance diploma in medical image processing from Banasthali Vidyapeeth.That’s all that I can handle being a college student. Question: What are the activities you resort to when you face a writer’s block? Question: What if your story will be adopted as a movie? Whom would you want to work as a director or actors in it? 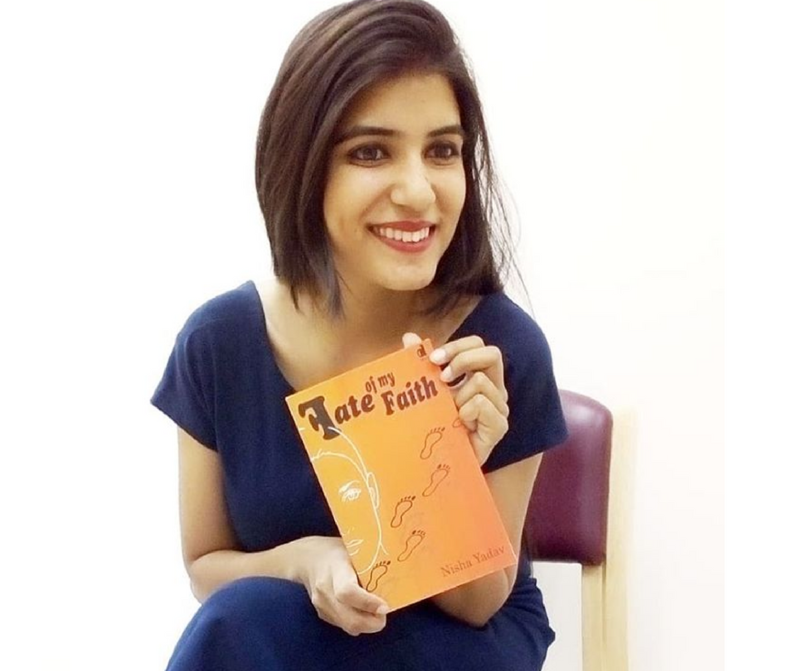 – Woah, that’s quite interesting question.If someday I get this opportunity, I’d love to see Radhika Apte and Nawazudin Siddiqui as my book characters. Question: What importance do a pen and word keep in your life? – The pen is my strength. Words automatically start floating in my mind as I hold a pen. Question: What are your suggestions to the budding writers that they could improve their writing skills? – Well, I’m not that much experienced to give any suggestions but I can share what I have learned till now. Observe more, read more and write more! Order your copy from Amazon and Damick Store. Excellent. 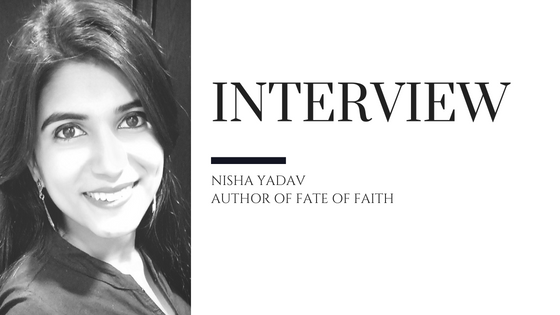 Nisha is very talented, humble, candid, and quite a forthcoming person, as evidenced by her poignant portrayal of the characters in her debut novel. She has it in her to become a prolific writer. May God bless her with a whole lot of abundance and prosperity.